Coffee is mostly water. Probably not a very surprising fact, until you realize that 98 percent of the average cup is water, with only 2 percent being the coffee itself. Even though water makes up such a high percentage of the cup, we tend to underestimate the effect that the composition of the water we use to brew has on the final product. When I began brewing coffee at home, I was almost perpetually dissatisfied with my brew. I would have a great pour over in a shop, buy the beans that they used, and then make my own pour over at home only to come away with a flat cup of coffee, lacking in complexity and really quite boring. I tried doing everything I could to replicate the conditions of the coffee shop: regulating grind size, using the same brewer, and even trying different kettles, all with no success. My coffee was still unremarkable, and I felt like giving up as a home brewer. That was until I discovered a solution that, as someone who never really enjoyed science, initially appeared to be over-complex and uninteresting: the mineral composition of my brew water. Speciality coffee shops will spend thousands of dollars on a water filtration system that allows them to regulate the mineral content of their water to ensure they are brewing with water that has the right balance of minerals that will encourage the most optimum coffee extraction. As a home-brewer, there was no way that I could afford one of these systems, so I began my quest to find out what I could do at home to ensure that I was getting out of bed to delicious coffee each morning. At the same time as I was doing this, others more advanced than me in coffee came out with research and products that were accessible for home brewers, products like Third Wave Water. But, living overseas made it cost prohibitive for me to get my hands on many of these products. So while we were living in the Philippines, I began developing my own recipe. My goal over these past years has been to develop a water recipe that uses widely available ingredients in order to make a water that draws out both both complex acidity and sweetness from the coffee bean. Until now, I have been pretty tight-lipped about my recipe, but in an effort to level up our collective brewing game as home brewers, I have decided to share my recipe. To start, I began with principles laid out by Matt Perger on his blog Barista Hustle. He helped the coffee world make mineral water ideal for brewing using only Epsom salt, baking soda, and distilled water - everything that can be found in the grocery store. While this definitely did make a delicious cup, I found it a bit lacking in sweetness and body. So I set out to find what was missing and found: gypsum powder, which is food-grade calcium-sulfate. Because we are using such small amounts of each mineral, the easiest and most accurate way is to first create three solutions in three one-litre bottles of distilled water and then to use various doses of each solution to make water that is perfect for coffee. For each solution, combine the distilled water and the mineral, and then shake the bottle vigorously. 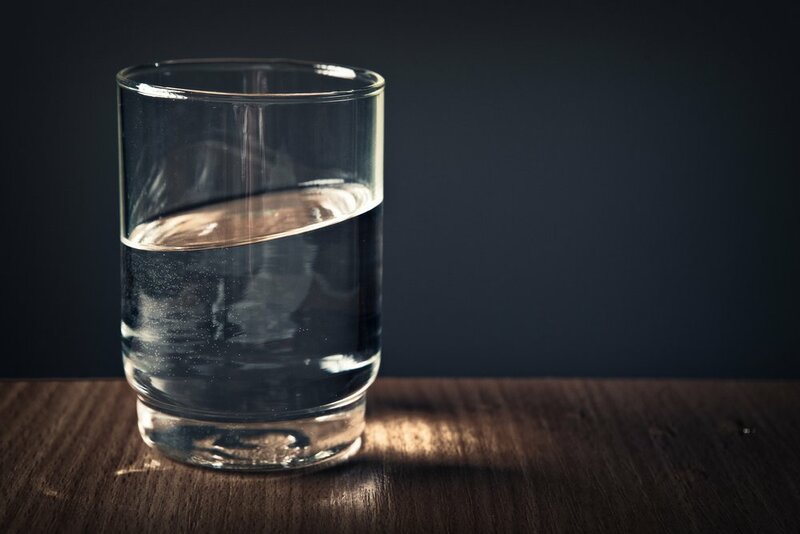 The buffer and magnesium sulfate solutions should be completely transparent but the calcium sulfate solution will be pretty murky, with some undissolved solids. Once you have made your solutions, you can now use these to make your mineral water. I have created this recipe to work with 1 gallon (3.78 litres) bottles of distilled water, a very common volume available in supermarkets. 35 ml of calcium sulfate solution. 1. Remove 280ml of distilled water from a one-gallon (3.78 litres) bottle, leaving 3.5 litres of distilled water. This will create room in the bottle for you to add the mineral solutions. 2. Shake each bottle of solution to reincorporate any minerals that have settled on the bottom. 3. Dose out each solution using a weighing scale according to the recipe above. 4. Add each of the solutions to the gallon jug of distilled water. 5. Place the lid back on the jug and shake vigorously to ensure that the mineral solutions are incorporated evenly with the distilled water. 6. Enjoy brewing with your homemade coffee water. With this recipe, I have been able to brew pretty consistently delicious brews on my V60; balanced and full of flavor. This is a basic recipe and can be adapted to suit the coffee you are using, your brew method, and even environmental variables such as elevation. Have you made your own coffee water recipe? What other tips or tricks have you found helpful in brewing a delicious cup?